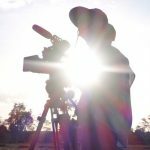 Nick Foxall is an accomplished director of photography, lighting cameraman, editor and scriptwriter for documentary, news, lifestyle and corporate video assignments, with more recent experience developing, producing and writing for original television series. Nick was Director of Photography and Series Editor on two seasons of Tycoon Talk, the first independently-commissioned English language show by TVB, Hong Kong’s dominant free-to-air broadcaster. On the second season of Tycoon Talk, in addition to DP, Nick took on the role of scriptwriter for all eight episodes. Seen by over 2 million viewers, each season Tycoon Talk profiled eight leading Hong Kong businessmen and tycoons. Tycoon Talk was followed by Adventures to the Edge, a groundbreaking 6-part wildlife series, again for TVB Hong Kong. Nick was Director of Photography, Senior Editor and Co-Producer. 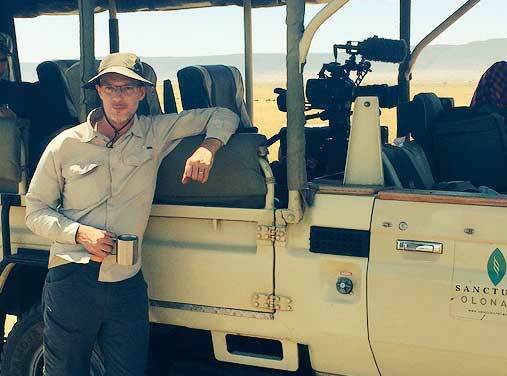 Work included an intense 3-week shoot in Kenya, and over 6 months in post production. In between broadcast and corporate assignments for both local and international clients, Nick is developing content and scriptwriting for a range of factual and documentary projects. He holds an MFA in Media Design and Technology from the School of Creative Media, City University of Hong Kong. In addition to shooting, Nick and his team offer pre production planning, scheduling, location scouting, script and story development. Following a shoot, we provide a full suite of post production services, including editing in Final Cut Pro, Adobe Premiere Pro or DaVinci Resolve, plus motion graphics in After Effects, and grading / finishing in DaVinci Resolve. Broadcast assignments have included work for BBC World, BBC Scotland, National Geographic Channel, Al Jazeera, NRK Norwegian Television, TV2 Denmark, ABC Australia, and Maya Vision (for the BBC series, “The Story of China”). Corporate clients have included HSBC, PwC, Linklaters, Wallpaper*, Conde Nast, Superga, Laureus, HKTDC, Husky Oil, and AVH Live (a division of Ogilvy). More clients here. Nick is also an experienced and fully qualified drone pilot and drone pilot instructor, holding a full CDP-C™ qualification. Learn more about Nick’s drone work on the aerials page. Sony PXW-FS7: 4K video at 4096 x 2160 or 3840 x 2160/ 59.94p, 50p, 29.97p, 23.98p, 25p (XAVC-I up to 600 Mbps). HD video at 1920 x 1080 59.94p, 50p, 50i, 29.97p, 23.98p, 25p (XAVC-I up to 222 Mbps), or HD video at 1920 x 1080 at 59.94i, 50i, 29.97p, 23.98p, 25p (MPEG-2 Long-GOP). Sony Alpha a6500: 4K video up to 3840 x 2160 at 24, 25, 30 fps (100 Mbps, XAVC S), or HD video up to 1920 x 1080 at 24, 25, 30, 50, 60, 100, 120 fps (100 Mbps XAVC S). Sennheiser G2-100 wireless mic set, plus optional wireless transmitter for handheld mic. Mini-jack or XLR connectors. Rode Rodelink wireless mic set. Mini-jack or XLR connectors. Zoom H1 mini digital audio recorder. Dedolight 3-light kit One DLH1 150w with softbox and grid. Two DLHM4-300 spotlights, focus adjustable w barn doors and filter inserts. Stands, diffusers, gels. 7-inch Mini LED light with daylight/tungsten colour balance adjustment. Battery powered. 4-inch Mini on-camera LED light tungsten. DJI Phantom 4 Pro 20 megapixel sensor. Video up to 4K, 24 / 25p, or full-HD, 24 / 25 / 30 / 48 / 50 / 60 / 120p. Formats: Photos in JPEG or DNG. Video in MP4 or MOV (MPEG-4/AVC/H.264) up to 60 Mbps. Flight time up to 28 min per battery. One Zhiyun Crane handheld gimbal stabiliser (for Sony Alpha a6500). Two Manfrotto 755CX3 carbon fibre tripods w. fluid heads (max. height: 65in / 165cm). One Tilta 4×4 Mattbox with two filter trays (one rotating). One Zacuto Universal Baseplate with quick-release mount, and 15mm rods. One Edelkrone SliderPlus portable dolly / slider. One Edelkrone FocusOne follow-focus unit. Need a C300, or a RED, or more lights, or something else not on the list here? No problem, we can rent it for you.